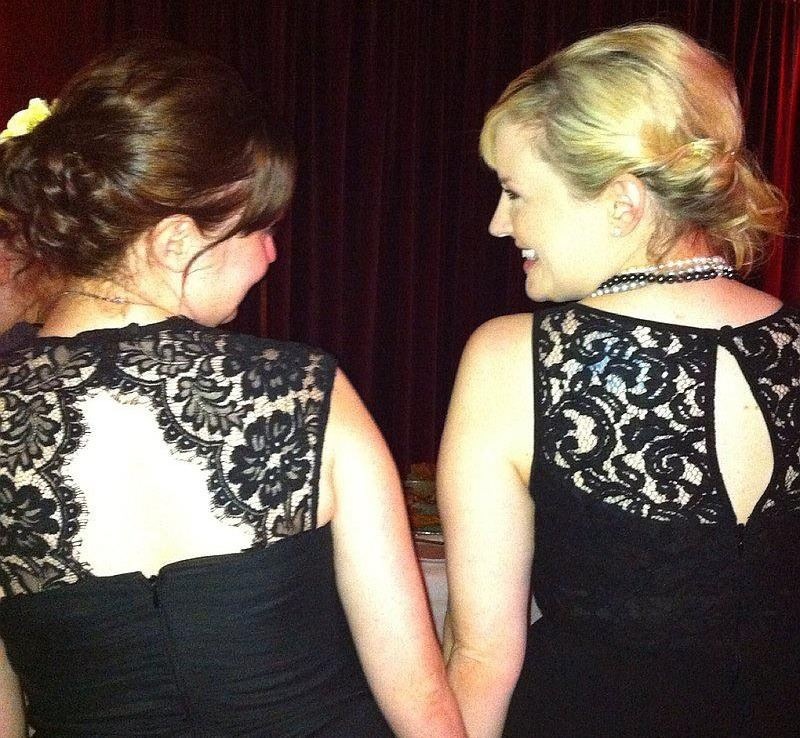 This is me and my love, MK 🙂 We showed up at a party in almost the same dress, but we love each other so much that we thought it was fantastic instead of embarrassing. Today I’m going to write about a different part of My 35 Project than I usually do on Sundays. Part of what I’ve wanted to do this year is be more intentional about relationships. I am an odd person because if I had to choose, I would say I am extroverted. Maybe I should take a poll and see what those around me say, but I am not afraid to talk to strangers, I tend to be loud in inappropriate situations, and I feed off of the energy of groups of people. All that aside, I like to stay home and snuggle my dogs. I do make an effort to stay in touch with the people I love, but I’m bad at making plans and sometimes I get anxious when I think about going out in public. I make plans that I really look forward to, and then when the day comes I get anxious. I’m just kind of nuts. I made goals to see a friend once a week, and to send something in the mail once a week. The mail has been easy and fun. I love writing a letter or card, it makes me so happy. I hope that it makes the person receiving it happy too! The in person visits I am 5/7. I don’t know why I can’t pull it together. Every time I make time to see a friend, I feel so rejuvenated and so much happier to be alive. That may sound extreme, but it’s true. I love to connect with other people, catch up, share a snack, whatever. To me, that’s what it’s all about. Getting to know other people, finding true friends and love ❤ I guess everything is about priorities in this world, but it frustrated me that I have to constantly revisit mine (just to figure out what I’ve always known). I want to spend my time doing the simple things in life that make me happy- spending time with people I love, exercise, food, sleep… back to the basics! You can be both! I am an outgoing person- I will engage strangers in any line that I happen to be standing in. I am also an introvert, as I often unplug from the world a few evening a week. I am also more inclined to invite friends over than go out. A friend recently told me she loves to spend time with me because I cut out her anxiety of where to meet and what to wear; and she doesn’t have to worry about over spending. I smiled and reminded her life is truly about the basics: God, love, good conversation, laughter, food, and sleep! You’re an omnivert, like me. Let us know the result! !